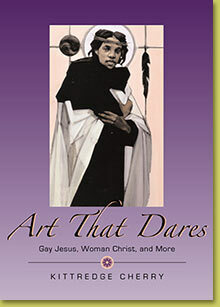 Art that dares to show Jesus as gay or female has been censored and destroyed. Now for the first time these beautiful, powerful, sometimes shocking images are gathered for all to see. Packed with full-page color illustrations, this eye-opening collection features a diverse group of eleven contemporary artists who work both inside and outside the church. They present the gay Jesus, the woman Christ and other cutting-edge Christian images. Their art respects the teachings of Jesus and frees the minds of viewers. Here the artists tell the stories behind the images. A lively introduction puts the new genre into political and historical context, exploring issues of blasphemy and artistic freedom. —The Rev. Canon Malcolm Boyd, poet, Episcopal priest, gay elder, author of Are You Running with me, Jesus?